Today at an event organised by Codex at FAO HQ in Rome, Ms Geannina Dinarte Romero, Minister for Economy, Industry and Commerce of Costa Rica, called on countries to support the initiative for a World Food Safety Day that would signal the right for all people to have access to safe and nutritious food in sufficient quantity. 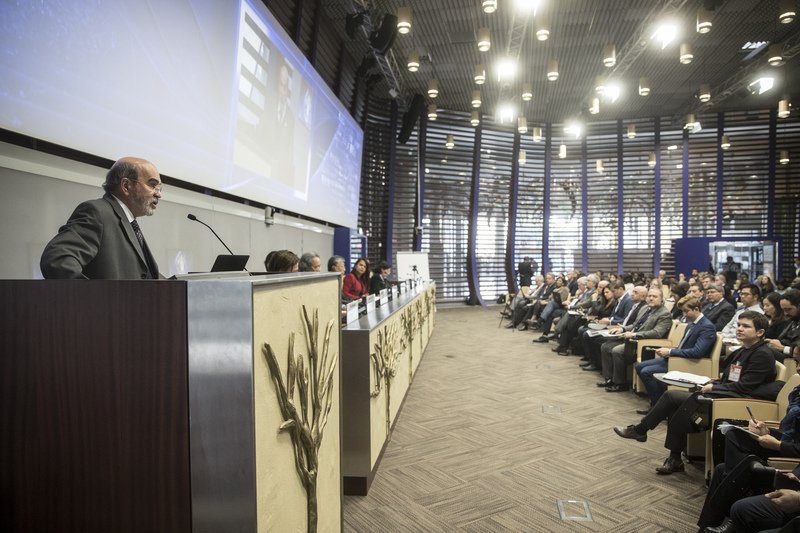 The Director-General of FAO Mr José Graziano da Silva, opening the meeting, stated that food safety was not only the basis for trade but the basis for healthy lives. He reminded the audience of the recent decision by FAO Conference to support the call for a World Food Safety Day "to raise awareness of the global threat posed by foodborne disease" and reinforced the need for "governments, the food industry and individuals to do more to make food safe." Minister Dinarte Romero explained progress made in Costa Rica not only to improve food safety but to support production and achieve fairer practices in food trade. She went on to describe how increasing complexity in the food chain was causing concerns amongst consumers about food safety. Technology is making major advances but at the same time the challenges are incresaing to provided safe nutritious food to all people. "We have to strive to cooperate more together," she said. We will have to innovate in our production systems in order to guarantee sustainability. The dual mandate of Codex regarding both food safety and fair practices in trade is a natural basis from which to call for a world food safety day. "Foodborne diseases clearly hamper the social development by undermining local economies, tourism and trade," Romero said. "It is imperative that the international community finds solutions to these problems both now and in the future," she added. The world food safety day proposal allows countries to bring their concerns to the UN General Assembly and with "the full support of FAO and WHO we will be able to drive this forward to the Secretary General's office." Other pannellists included H.E. George Kahema Madafa, Ambassador, Permanent Representative of the United Republic of Tanzania to FAO; Ms Doojduan Sasanavin, Deputy Permanent Secretary, Ministry of Agriculture and Cooperatives of the Kingdom of Thailand, Mr Khaled El Taweel, Alternate Permanent Representative of the Arab Republic of Egypt to FAO, and Chairperson of the FAO Committee on Commodity Problems as well as representatives from FAO and WHO. Review the complete webcast on line on the FAO website.